Grand Launching of Music, for two films in Hindi & Marathi in Pune. Birthday of well-known builder and social worker, Ashish Kante (President of Taraka Foundation), was celebrated in between massive public presence, it was attended by Shri Ramdas Athvale, Home minister in Central Government, along with many other politicians. Secondly music of Hindi Movie "English Ki Taay Taay Fiss". 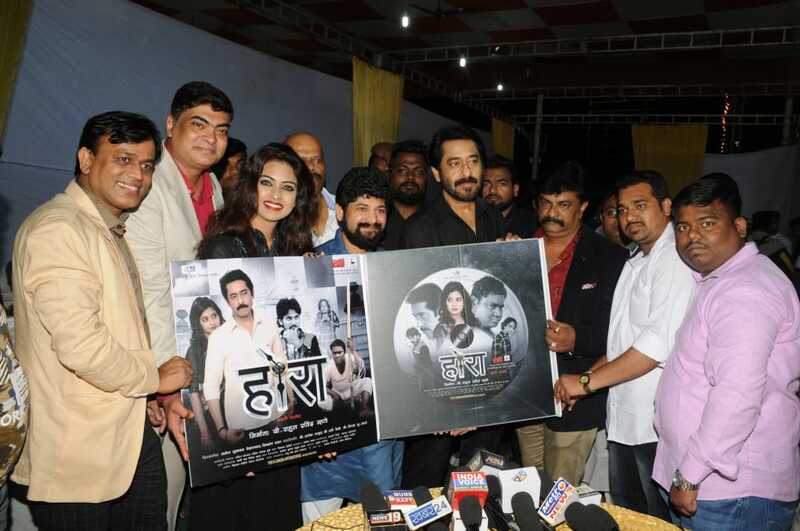 was released by Ashish Kante, and he also released music of Marathi Film "Hora", produced by Rahul Ravindra Mhatre, Rajesh Thakur, Ravi Maini, Deepak Ughade, in association with Heritage Entertainment, directed by Manoj Yerunkar, Executive producer Lalit Ganesh Amber and Pradip Ladkat. Film "English Ki Taay Taay Fisss" is a hilarious but with social message is made under the banner of 'Siddhika Cine Craft', directed by Shailendrasingh Rajput and produced by Sanjeet Kumar Thakur & Shiv Prasad Sharma, Co-produced by Manoj Khandelwal. Film introduces Rohit Kumar with N Leysan Karimova from Russia, with support of Rajpal Yadav, Manoj Joshi, Govind Namdev, Mushtaq Khan, Viju Khote and Sunil Pal. Other important guests present were Indian Cricketer Shardul Thakur, actors Rohan Khatre, Aashok Shinde, Shital Ahirrao, Meera Joshi, Sidhant Gharat, Vishal Mohite, & Mushtaq Khan along with media person's from Pune and Mumbai.